Little Life Box is a Canadian Healthy Lifestyle Subscription Box that includes a variety of different healthy food and products each month. They have two box options to choose from the Original Box and the Vegan Box. What you get: a variety or healthy products, snacks, food, skin care, vitamin supplements, etc. 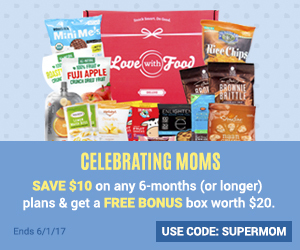 Promo Code: You can use the promo code HappyMail to get 10% off of your monthly subscription. Little Life Box is having an awesome promotion going on right now, any box orders placed before August 1st will be entered to win an extra special gift box of FULL Sized Items worth $200 ! Picture of the prize pack is below. If you’ve been wanting to try out this box it’s really a fantastic time to do it. 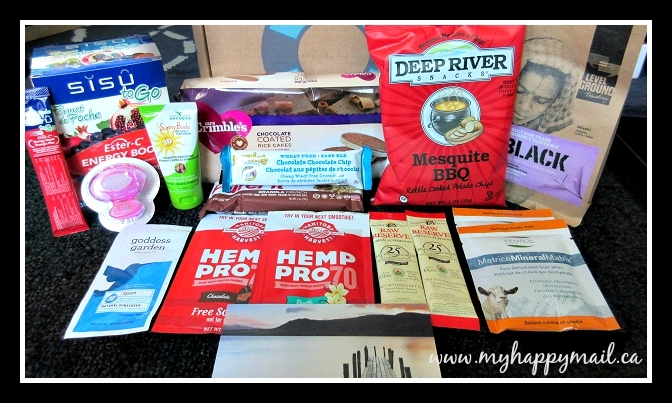 July’s Little Life Box was packed full of amazing goodies and is one of the boxes that I look forward to each month. 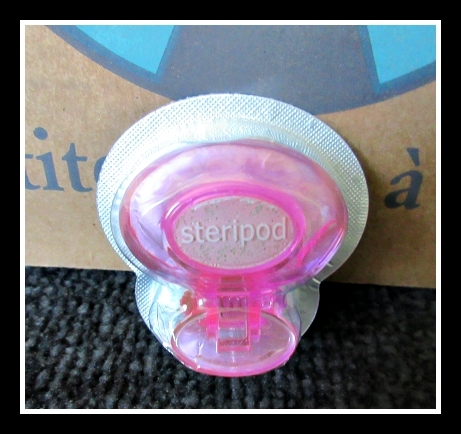 Steripod is a clip-on toothbrush protector that fits any standard or electric toothbrush and keeps your toothbrush smelling fresh & clean for up to 3 months. No cables or batteries required! I can’t even tell you how happy this one item makes me. When I was younger I used to keep my toothbrush in my bedroom because the idea of bathroom germs used to gross me out. I found these on well.ca they come in a set of two steripods. I’ll definitely be keeping these in stock from now on. Annie’s Homegrown Chocolate Chocolate Chip Granola Bars has made following a wheat free lifestyle delicious! Annie’s new Wheat Free Granola bars are individually wrapped and great for lunch boxes, and snacking on the go! Who doesn’t love chips? Chips are almost always the first item to disappear from my boxes. 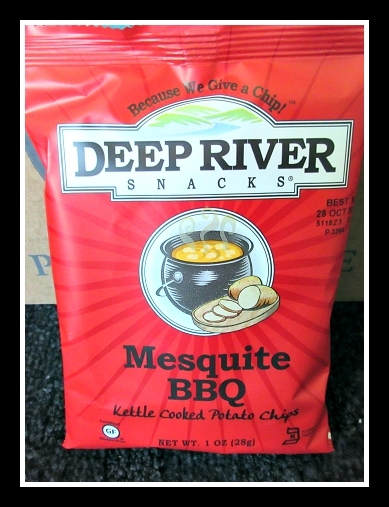 Deep River Snacks came in the Father’s Day box and they are a really good kettle chip. Amazing Green Raw Reserve Green SuperFood is a blend of AFA’s, spirulina, chlorella and sea vegetables from the coast of Maine, like kelp and sea lettuce. Offering an array of free radical fighting plants and herbs, each ingredient in Raw Reserve is completely raw, vegan and of the highest quality. Plus, each serving contains over 25 billion live probiotics at the time of packaging. Nothing short of Amazing, Raw Reserve is a testament to the incredible power of nutrition. The Raw Reserve is unflavoured which I like and adds a good dose of nutrition to smoothies. 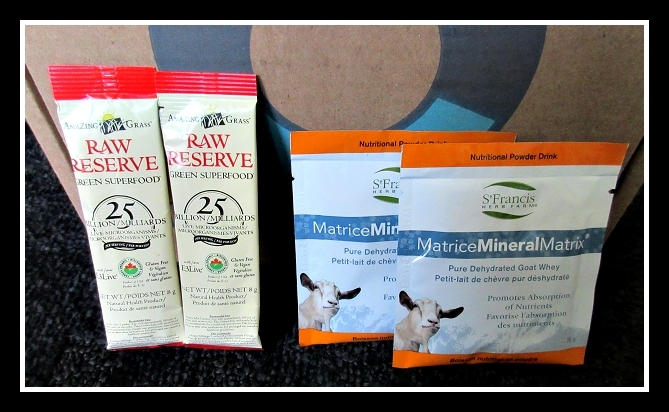 Matrice Mineral Matrix Goat Whey The ideal dietary supplement, Mineral Matrix pure dehydrated goat whey is an all-natural, highly concentrated whole-food source of more than 25 naturally occurring macro and trace minerals in a bio-organic form that our bodies recognize and utilize with ease. I always keep these kinds of samples to throw into smoothies. 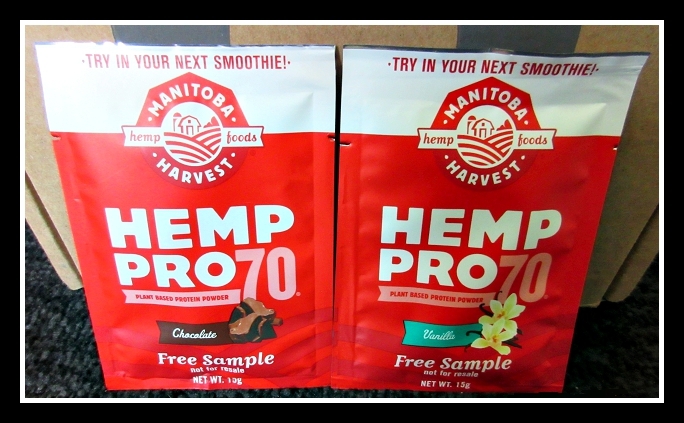 Manitoba Harvest HempPro 70 is the world’s first water soluble hemp protein powder — and now it’s available in a delicious flavour! This means that you can easily mix HempPro 70 in a shaker cup with any delicious drink of your choice. With 15 grams of protein per 30 gram serving, HempPro 70 is an easily digestible, complete plant-based protein, offering all essential amino acids – great for vegan or vegetarian diets. It is mild tasting with a creamy texture that is delicious added to your favourite smoothie recipe, or stirred into yogurt or hot cereal. Hemp Protein samples. I appreciate that two different flavours were provided it’s sweetened with coconut sugar which is different. 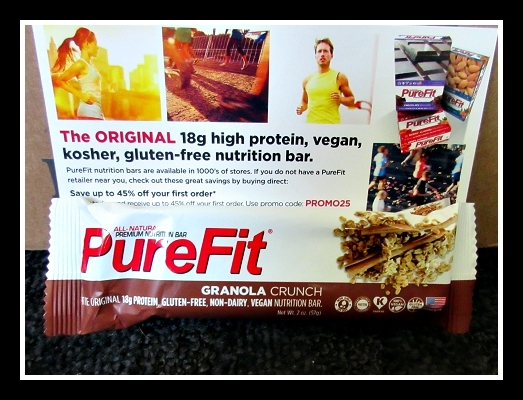 PureFit Bar in Granola Crunch PureFit bars are an integral part of The PureFit Fat-Burning System. It provides many of the nutrients and calories you need to round out your PureFit diet. And it does not contain harmful ingredients found in virtually every nutrition bar on the market. Best of all, these bars are versatile. From lunch boxes to soccer moms, from Wall Street executives to pro-athletes—everybody loves the taste and they fit into any pocket. 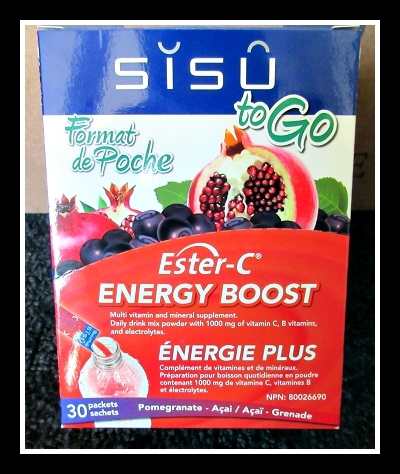 Daily rehydrating vitamin drink mix enhanced with 1000 mg of Ester-C vitamin C and nourishing vitamins, minerals, and electrolytes. I think every box this month had a full box of these in it, which covers the cost of the entire box alone! These single serve packets come in a couple of flavours. Well.ca carries Pomegranate – Acai and Lemon Lime but there are a couple of other flavours available. Natural orange and Natural Wildberry. 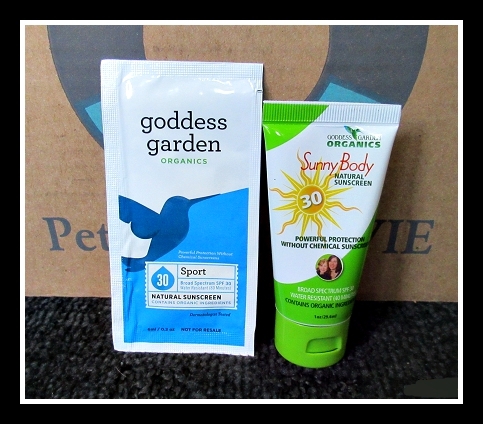 Goddess Garden’s sheer, non-whitening Natural Sunscreen in a convenient tube. Make sure your skin is protected from the sun no matter where you go: the mountains, beach, swimming pool, park or just driving around town. Goddess Garden Sport Natural Sunscreen formula is 100% biodegradable and is packed with nourishing organic ingredients like aloe vera and sunflower oil. With water resistance and broad spectrum UVA/UVB SPF 30 protection, this natural sunscreen will keep you and your family safe from the sun wherever you go! Personally I’m always looking for a good natural organic sunscreen and the sample sizes are a great way to try them before committing to a full bottle. Mrs. Crimbles Chocolate Coated Rice Cakes Mrs Crimble’s new chocolate coated rice cakes are delicious. Made from puffed rice, they are baked and not fried then topped with delicious chocolate. Gluten and wheat Free. We’ve received the Mrs. crimbles coconut macaroons from Little Life Box before and those were really yummy. 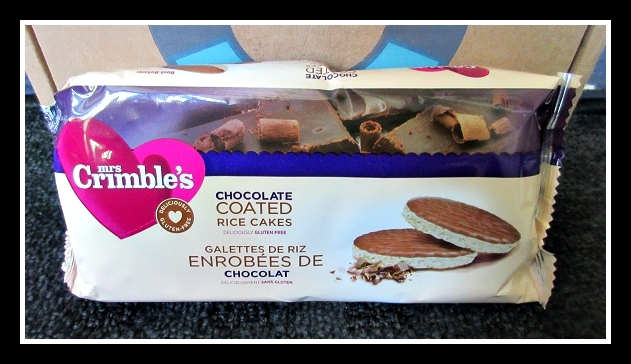 The Chocolate Coated Rice Cakes are a newer product and are a nice alternative to eating plain rice cakes. Black Loose Leaf Tea – Level Ground trading Orthodox black tea with a malty body and rich, red colour. Ready to drink clear or brew it strong to drink with milk and sugar. Another Amazing sample in this months box. I think this is a full size bag. 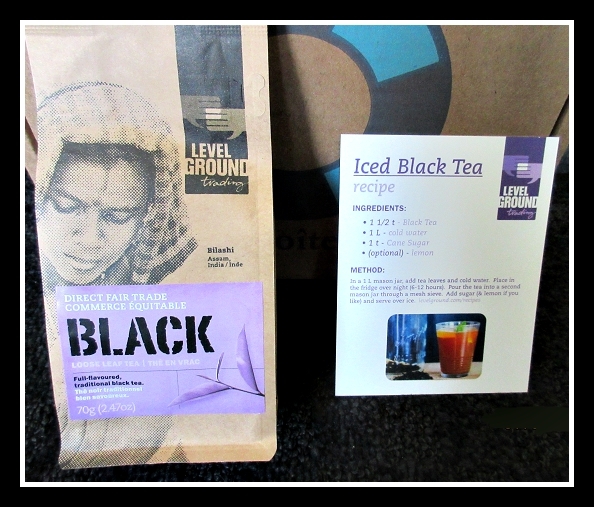 it also came with an Ice Tea recipe and a little booklet with all the level ground products. This months Little Life Box was Amazing! So many full size products and such great samples. Definitely more than worth the $19.95 price tag. This month was one of my favourite boxes to date from them. This is amazing! I am so happy to see this because I never knew this existed. I am definitely signing up for this! Thanks so much for the post! It is honestly one of my favourite boxes I’ve found so many new brands through them. 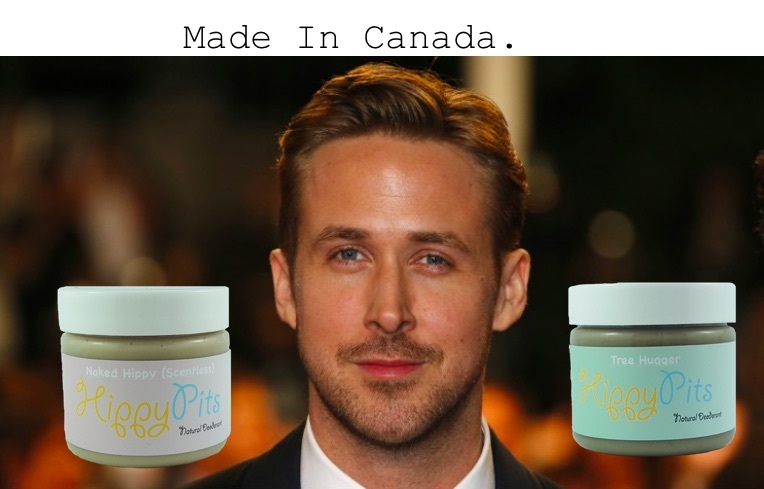 Plus <3 that it is Canadian! yay finally a Canadian option! Definitely going to check this out. Everything looks awesome! It’s definitely nice to not have to worry about the exchange rate on this one.